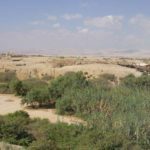 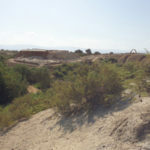 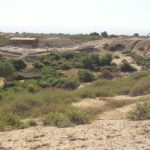 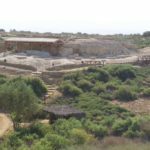 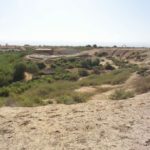 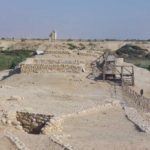 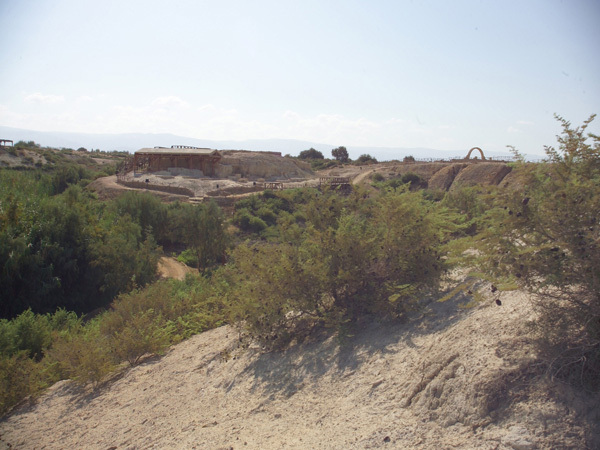 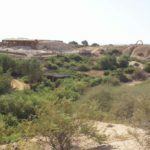 One of the most important sites of the Baptism Site is Elijah’s hill, the place where Elijah ascended to heaven in the ninth century BC. 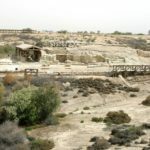 The Bible states that Elijah would return before the coming of Jesus, so when John the Baptist began baptizing people there it caused a huge stir in the surrounding villages. 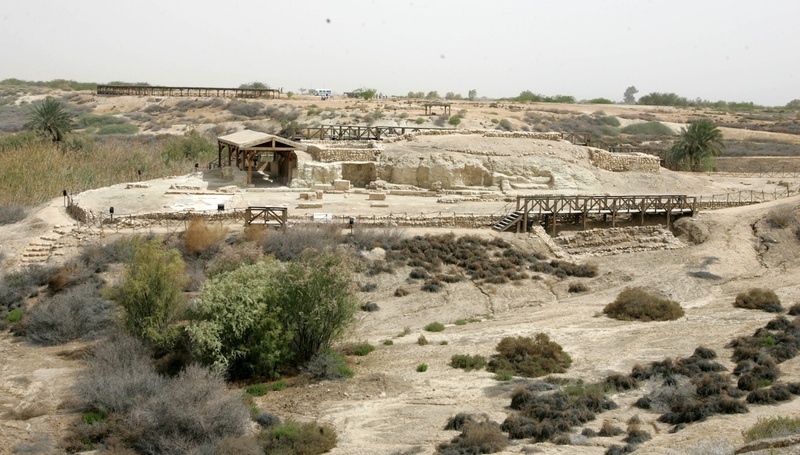 The villagers came to inquire whether or not he was their messiah. He replied, “I am a crying voice in the wilderness, preparing the way of the Lord”. 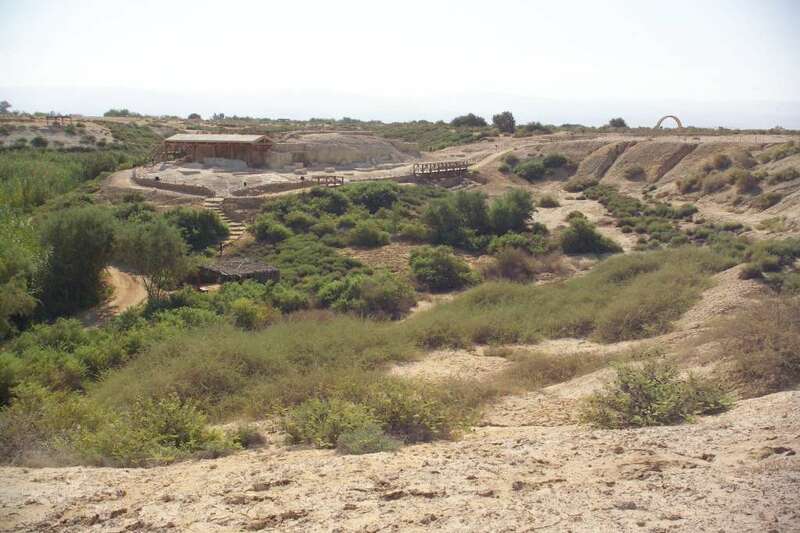 On the western side of Elijah’s hill there is a cave where John lived, and where Jesus was known to visit him. 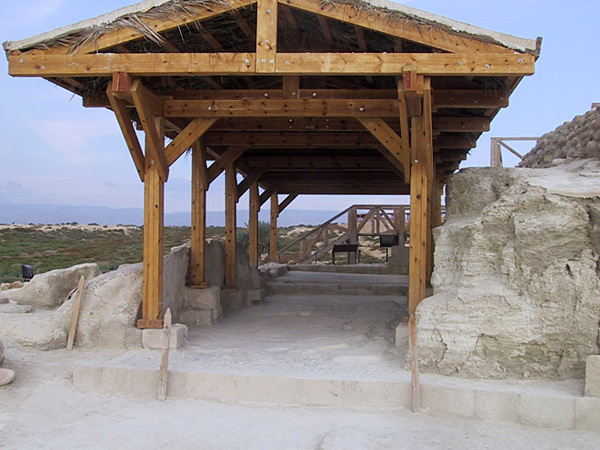 This is considered a very Holy site and therefore a church was built around the cave at the time the monastery was built in the 5th century. 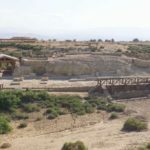 It was the first monastery east of the Jordan River on the early Christian pilgrimage route between Jerusalem and Bethlehem to the west and Mount Nebo to the East. 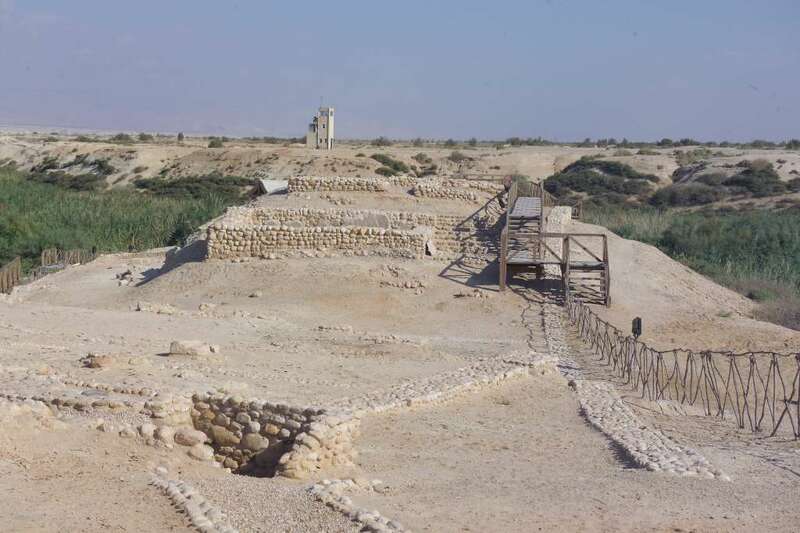 Another significant point is that during the period of Islamic rule, monks lived in the monastery performing their daily duties freely, portraying the kind of coexistence between Christians and Muslims that is still the case in modern day Jordan. 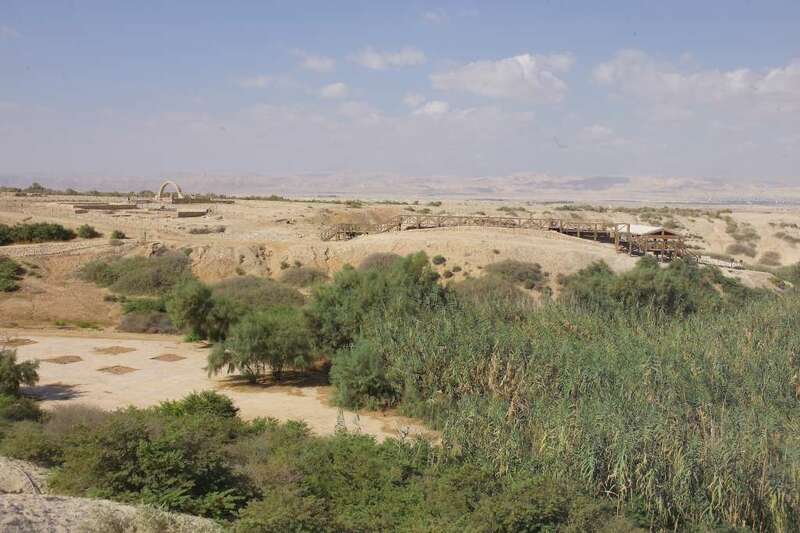 Visually the site is very similar to how it would have looked in the time of Jesus and John, The Bible describes the reeds that can be seen throughout the year today. 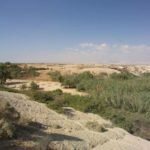 The small rough bushes are the natural habitat for bees, reminding us of what John the Baptist used to eat, wild honey and locust. 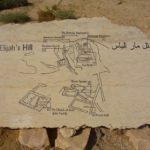 Wadi al-Kharrar is the modern name for the site of â€œSaphsaphasâ€, which is depicted on the 6th century mosaic map of the Holy Land in Madaba. 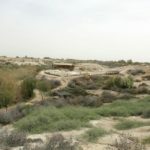 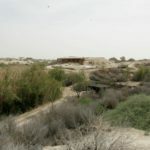 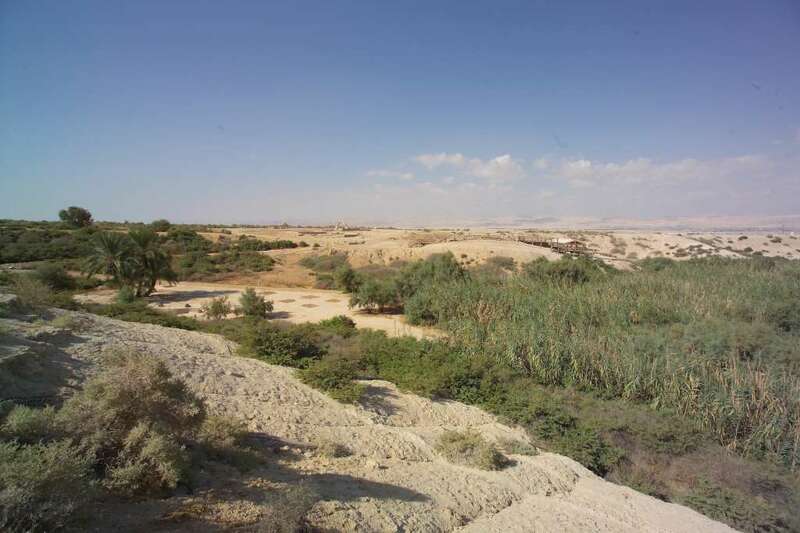 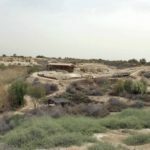 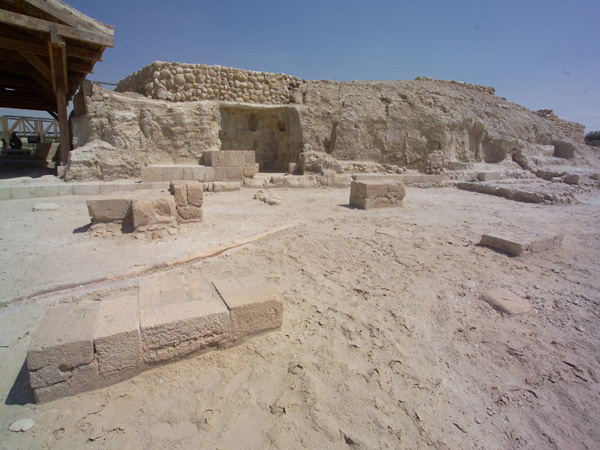 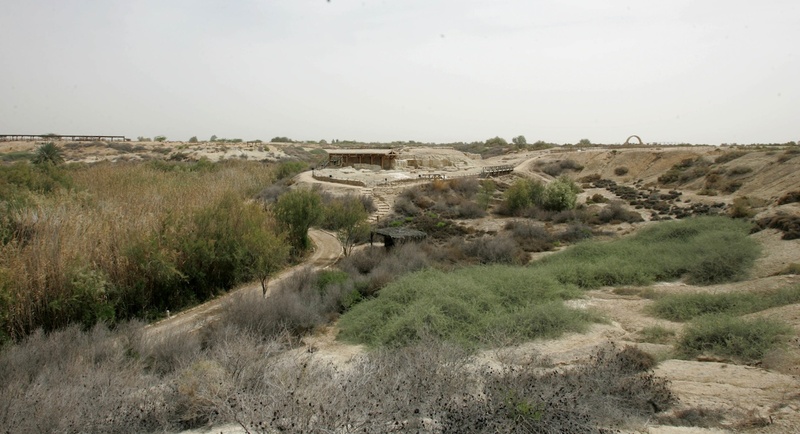 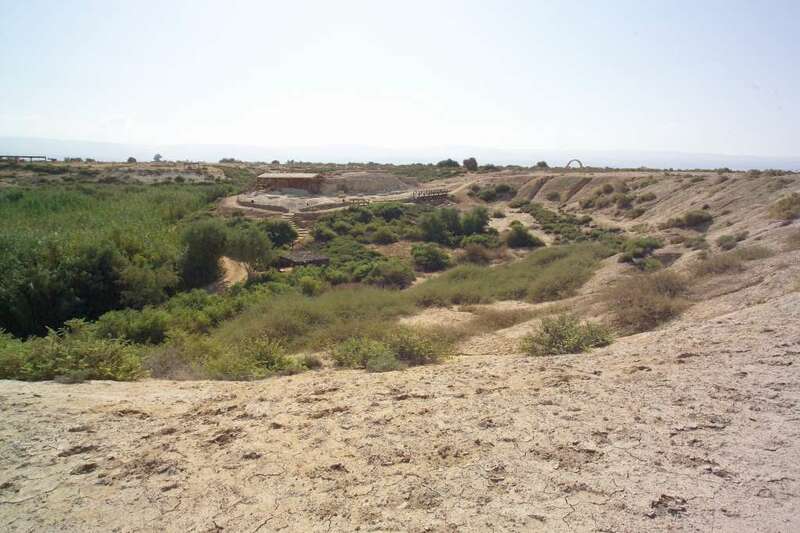 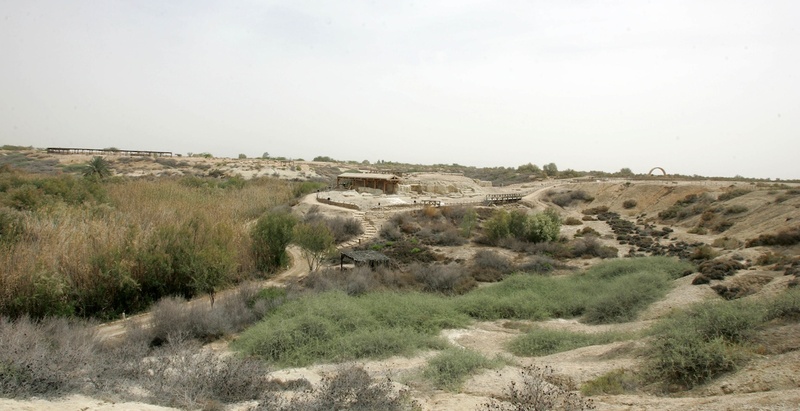 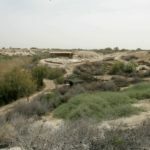 The site lies east of the Jordan River, just west of the village of Al-Kafrayn and within sight of the famous town of Jericho west of the river. 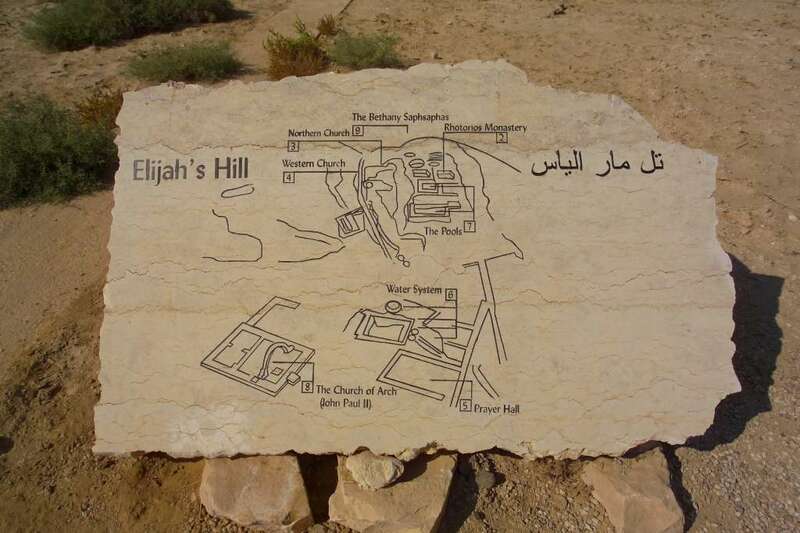 At the beginning of Wadi al-Kharrar, near the monastic complex, or “Laura”, Christian pilgrims have traditionally been shown a hill (known as Jabel Mar Elias in Arabic) where the Prophet Elijah ascended into heaven. 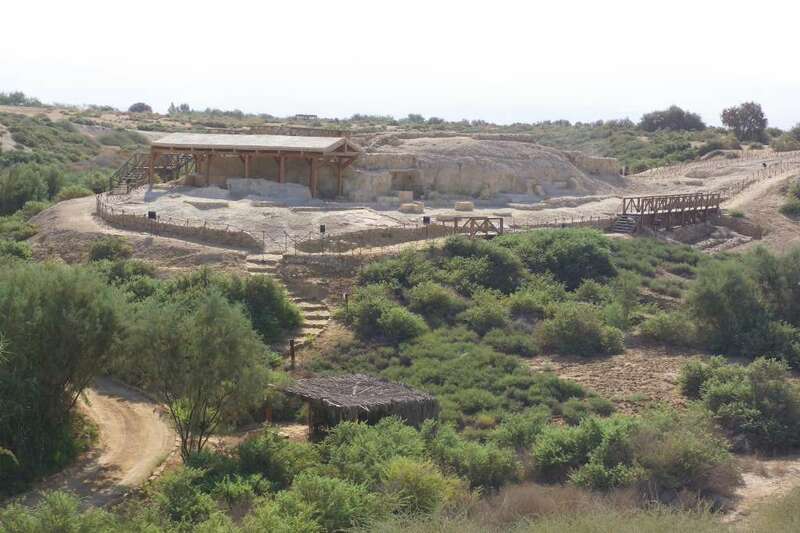 Here, you can see a sanctuary that attracted pilgrims well into the medieval period. 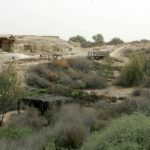 The Russian pilgrim Abbot Daniel was impressed by the place and in 1106 he wrote: “Not far away from the river, at a distance of two arrow throws, is the place where the Prophet Elijah was taken into Heaven in a chariot of fire. 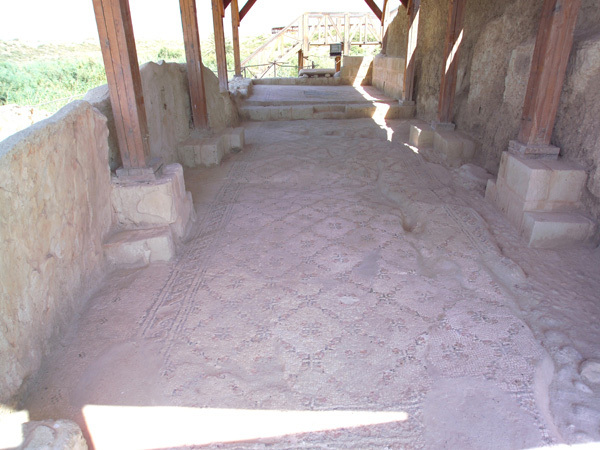 There is also the grotto of Saint John the Baptist. 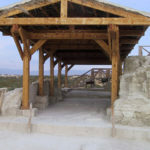 A beautiful strong fast stream (torrential rain) full of water flows over the stones towards the ; the water is very cold and has a very good taste; it is the water that John drank while he lived in the holy grotto”. 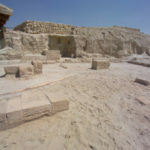 The memory of the place was not lost by the writer Theodosius either, who wrote around 530 AD: “Where my Lord was baptized there is, on the far side of the , the ‘little hill’ called Hermon, where Saint Elijah was taken up”. 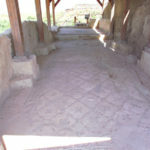 Similarly, the Pilgrim Antoninus Martyr from Piacenza wrote around 570 AD: “This is the place wher Elijah was taken up (to heaven). 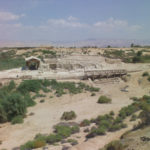 In that place is the ‘little hill of Hermon’ mentioned in the Psalm. 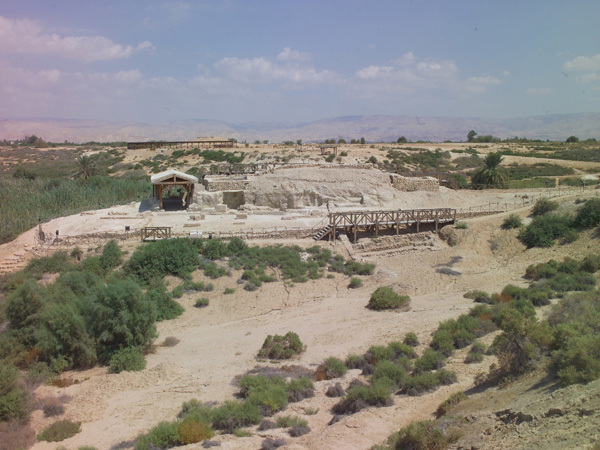 At the foot of the mountain at seven o’clock in the morning, a cloud forms over the river, arriving over Jerusalem at sunrise, above the basilica on Zion, the basilica at Christ’s Tomb and basilica of Saint Mary and Saint Sophia (once the Praetorium where Christ’s case was heard). 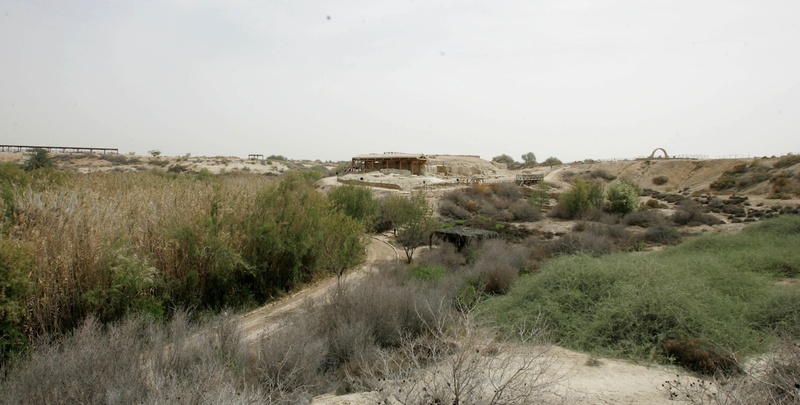 Above these places the dew comes down like showers, and sick people collect it. 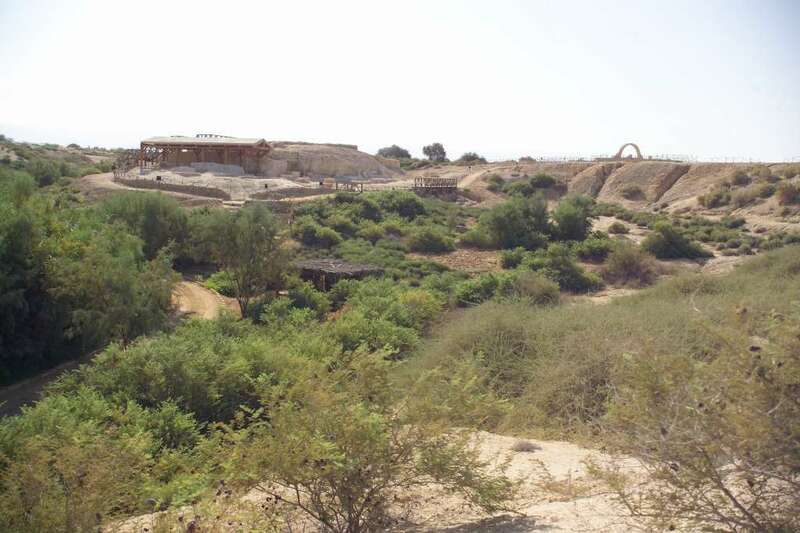 In the hospices all the dishes are cooked in it, and in the places where this dew falls many diseases are cured. 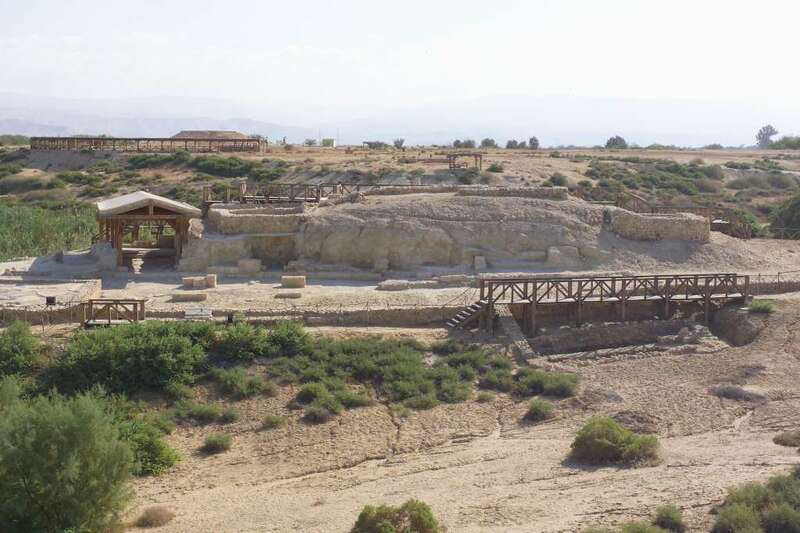 For this is the dew of which the Psalmist signs, ‘it is as if the dew of Hermon were falling on Mount Zion ‘ (Psalm 133.3)”.